Russian MMA star Anastasia Yankova, who is getting ready to make her comeback to the Bellator cage this May in London, spoke exclusively to RT Sport about the upcoming fight, and why she had a one-year break in fighting. As we learned on Tuesday, Yankova is going to make her next cage appearance on May 25 at Bellator 200 in London, against Kate Jackson from England. Yankova, a 27-year-old Moscow native, hasn't fought since last April. By the time of her return to the cage, her break will be longer than a year. 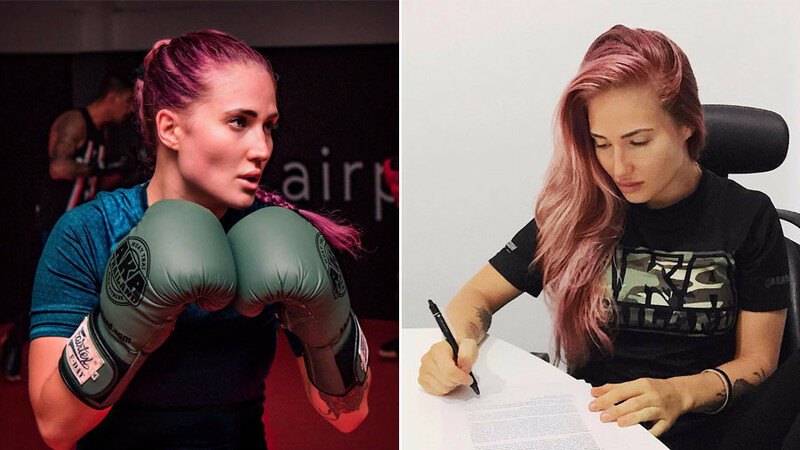 Following the announcement of her next bout, we contacted Yankova – who is currently training in Thailand – over the phone to talk about her upcoming fight, women’s MMA in Russia, her health status, and recent controversy she became involved in. RT: The last time you’ve fought was almost a year ago. How do you feel about coming back to the cage? 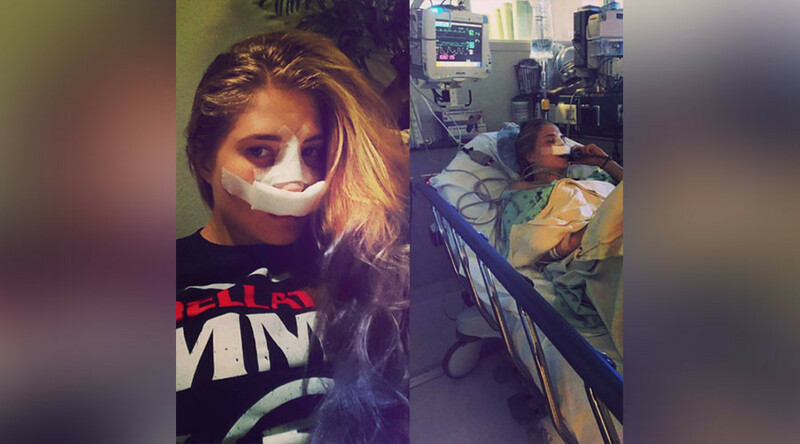 Anastasia Yankova: I’m just glad to be back to fighting. Plus, it is going to be an exciting card. I’ve never been to London, but I always wanted to visit it. It should be a big event, and I am excited to be a part of it. RT: What was the reason behind such a long break? AY: Unfortunately, I couldn’t compete because of problems with my thyroid gland. And it’s really not a nice thing. I won’t go into the details of what happens to a person with thyroid gland issues. If you want to know, you can always google it. Turned out I’d had a problem with it for some time, and I had no idea. It results in hormonal misbalance, and in my case, I was gaining weight for no reason and didn’t have any energy to train. So for all those critics of my fitness level… I never really wanted to reveal it. I never wanted people to feel sorry for me or something. But I am glad that now this problem is behind me and I am ready to be back. Although it took me a long time to recover. RT: Your last two fights in Bellator were obviously very hard for you. Did you also take a break to do your homework? Should we expect Yankova 2.0 now? AY: I don’t want to make any predictions. Kate Jackson is a tough opponent, which is good. But I am not going to take out a crystal ball and do any sort of fortune telling (laughing). I also don’t want to say corny things, such as ‘the fight will show everything’ or whatever, but let’s talk about it after the bout. RT: Jackson, however, said on social media that she is looking to stop you, and the fight won’t go to the score cards. AY: I never pay attention to those things. I’ve heard a lot of things during my career. If people want to engage in trash talking or whatever it is, it’s their right. But I am not going to get involved. RT: In her post, she also mentioned “dubious ideologies,” obviously referring to recent reports about your affiliation to the brand called White Rex, which is popular among far-right groups, and the fact that you fought on one of their tournaments in 2013. You have never spoken on that topic. Do you feel like it’s time to address that issue? AY: I want to stress that I am not affiliated to any Nazi groups. Nor do I share or have I ever shared Nazi ideology. In 2013, I was invited to take a part in my first professional MMA tournament, which I knew would be broadcast on TV, and include a number of well-known sports figures. That was a chance to start my career and back then I saw no reason to turn down such an opportunity. I received my promised pay and was invited to take a part in photo and video shoots to promote a clothing brand. That was a start any young girl taking her first steps in this sport could only dream of. Especially considering the lack of opportunity to do that in Russia back in those days. RT: Are you currently affiliated with that brand? AY: No, I am not. RT: Speaking of opportunities in women’s MMA in Russia, do you think that this situation has changed over the years? AY: I haven’t spent that much time in United States, but even during those short visits I could feel the difference between the way people see women’s MMA over there and in Russia. In Russia, we are only taking the first steps towards the recognition of the sport. A few months ago, we had the first championship belt awarded in women’s MMA in Russia (in Fight Nights Global). So I think this wave of recognition only starts now. I still get some comments on social media, where people say that I should have taken up ‘a more girly sport,’ but over the years the number of comments like that has decreased drastically. So slowly but surely people are changing their perceptions. RT: Another fighter from Russia, Yana Kunitskaya, also recently fought for a championship title, this time in the UFC, against Cris Cyborg (Cristiane Justino), but obviously the fight didn’t go the way Yana planned it. What’s your take on that fight? AY: Recently I’ve trained with another Russian fighter, Zaira Dyshekova, who beat Kunitskaya two years ago, and I can say that Zaira is a really talented fighter with big potential, and I hope we will see her fighting in the big promotions soon. As for Kunitskaya, first of all she is in different weight categories with Cyborg. And gaining the weight to fight Cyborg is a very risky idea in my opinion, although she definitely deserves credit for her courage. But I don’t really know who will be able to beat Cyborg anytime soon. It will be interesting to see Valentina Shevchenko and Amanda Nunes fighting with her. RT: One more Russian fighter who is going to fight for the UFC championship belt is Khabib Nurmagomedov. In a couple of weeks he is taking on Tony Ferguson. Do you think he is going to bring the first UFC belt to Russia? AY: Just like Khabib, I train in AKA (American Kickboxing Academy), though I train in their branch in Thailand. But before my fight in 2016, I had my last camp in California, and I saw him training. And I’ve got to tell you, he is a workhorse, he works hard every day. He works hard even when he is injured; he works hard no matter what. And he spars more than anyone else I’ve heard of. And when I was watching his last fight, for me it was especially cool to realize that the level he shows in the fight is the result of that hard work. He was totally dominating his opponent, and didn’t leave him a single chance. I don’t want to predict the future again regarding his fight with Ferguson, but I know that he will have a great fight.